More than 600 delegates, representing 1,000 labor unions and one million members and their families, convened at Harrah’s Atlantic City on June 20-21, 2017, for the purpose of candidate endorsements and reaffirming the priorities of the state labor movement. A complete list of candidate endorsements is HERE. New Jersey is poised to lead the nation forward by championing a united progressive agenda that puts working people first, and our endorsement of Phil Murphy for Governor, as well as a slate of legislative and labor candidates, affirms our commitment to this goal. Ambassador Murphy has laid out a plan that creates good jobs, fulfills our state’s financial obligations, and reenergizes our economy to achieve sustainable growth and opportunities for all New Jerseyans. Getting our state’s economy on the right track depends on investments in our middle class, in education, in health care, in construction jobs, and in the next generation. The labor movement represents members across all segments of the community and will lead in this fight like no other organization can. Conference keynote speakers included Democratic Nominee for Governor Phil Murphy, Cardinal Joseph Tobin, National AFL-CIO Secretary-Treasurer Liz Shuler, UA General President Mark McManus, Congressman Bill Pascrell, Jr., Congresswoman Bonnie Watson Coleman, and Senate President Steve Sweeney. These distinguished speakers, including several other champions of labor, shared their unique perspectives on the challenges facing working people and how a prosperous and growing middle class is essential to achieving a balanced and healthy economy that works for all. The New Jersey State AFL-CIO 24th Annual Labor Awards Reception held on Tuesday evening, June 20th, honored outstanding leaders in government, business and labor, reinforcing the need for all New Jersey stakeholders to come together based on our shared values. This year’s honorees were United Association General President Mark McManus, Amalgamated Bank Board of Directors Chair Lynne P. Fox, and United States Congressman Bill Pascrell, Jr.
Essex County College Adjunct Professor Lisa Durden has been suspended and pulled from her classroom after speaking on Black Lives Matter on Fox TV News. Prof. Durden is highly rated and supported by her students. A petition has been established, to reinstate Prof. Durden immediately. Please consider signing, and share it, as you will. A link to that petition is here. An attack on one is an attack on all. 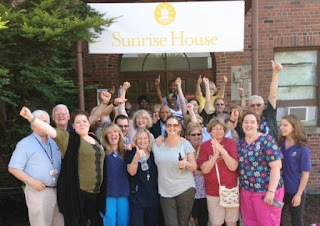 HPAE Reaches Tentative Agreement at Sunrise House Thanks to Union Solidarity! Congratulations to HPAE on reaching a tentative agreement for 120 addiction treatment workers at AAC/Sunrise House! This victory could not have been possible without the solidarity and assistance of the many affiliates of NJ AFL-CIO, who walked with fellow members on the picket line and sent letters to management during a strike and lockout which took place over the last three weeks. Read more, here. Please consider supporting Shannel Paulino, a most dynamic student from MSU, via her GoFundMe campaign. 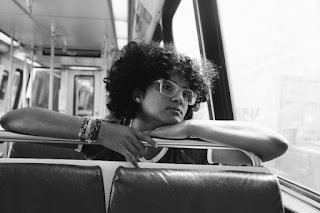 Please visit this link to the campaign, which will also provide details on her story (from her own page). Thank you.